I just wanted to say, THANX FO' THA SLURLBUILDER. Most graciously appreciated. My pleasure! 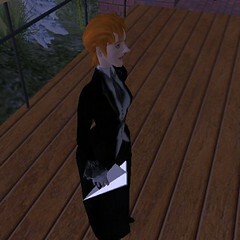 Thinking on the matter I should now link to the more pleasantly-designed version on the Slurl site. How about having it blown by the wind? I did consider it, but it makes it rather hard to actually aim the thing. I might put it into a new version at some point.